For my 27th Birthday my parents bought me a new camera. An upgrade from my Nikon D40 which I got for my 18th Birthday. 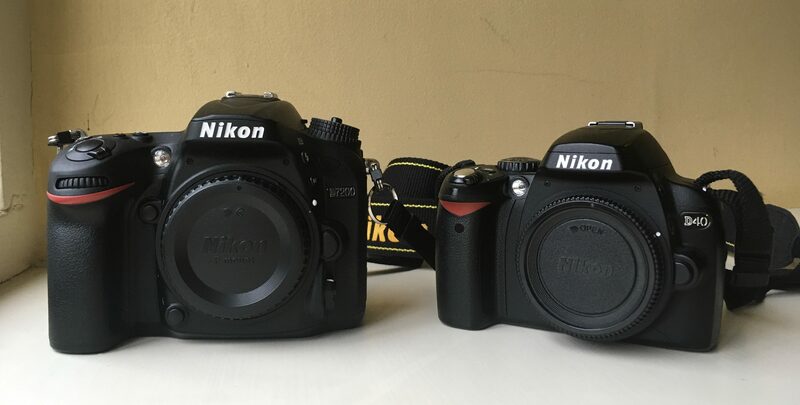 My new camera is another Nikon the D7200. 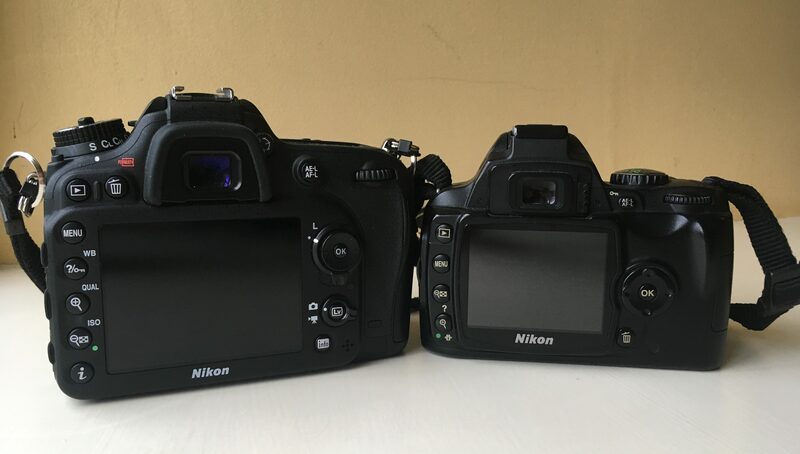 Nikon categorise their SLR cameras into three levels; entry level, enthusiast and pro. My D40 is an entry level camera which was launched in 2006 and then replaced by the D3000 series. I really like my D40; it was my first serious camera and was very beginner friendly. The D7200 is an enthusiast level camera, so still a user friendly camera but with a few more functions. Also, in almost ten years, the sensor technology has come on leaps and bounds. I’ve been getting frustrated with my old camera because I struggle to photograph in low light situations and my images always seem grainy and disappointing compared to newer cameras using the same exposure settings. 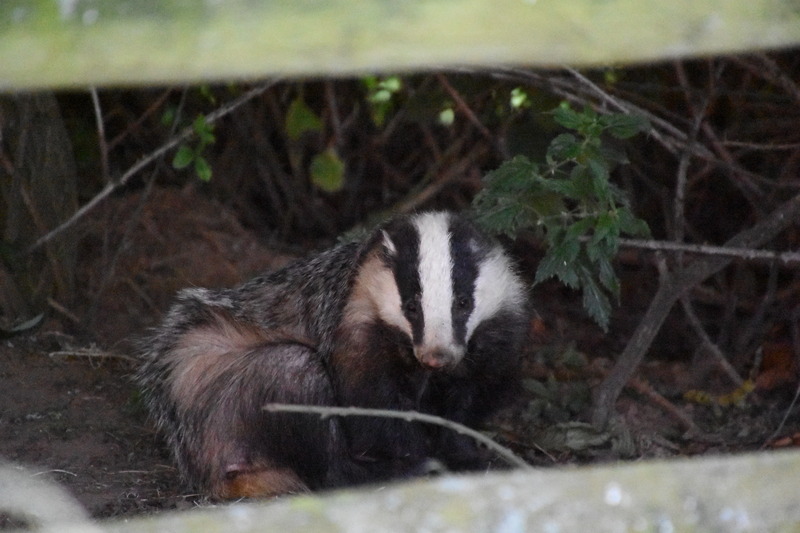 My D7200 is a fantastic camera, this model is designed for shooting activity and is really great for photographing animals and day to day travels. I wanted a camera for shooting landscapes at home as well as portraits of people at events. I take it with me on dog walks and trips out and about. Of course, it’s still a heavy duty DSLR camera but it’s not that much heavier than my D40. The D7200 mode dial is on the left had side and the camera also has an LCD screen on top which is convenient for shooting lower than you can go yourself. I knew I wanted to upgrade to a new Nikon camera because I found my D40 so great for starting photography. I know Canon cameras are more popular (in the UK at least) but the Nikon format suits me and the way the body is structured is the same across their range. My brother introduced me to Nikon and I may try other brands one day but I like being firmly in the Nikon camp right now. 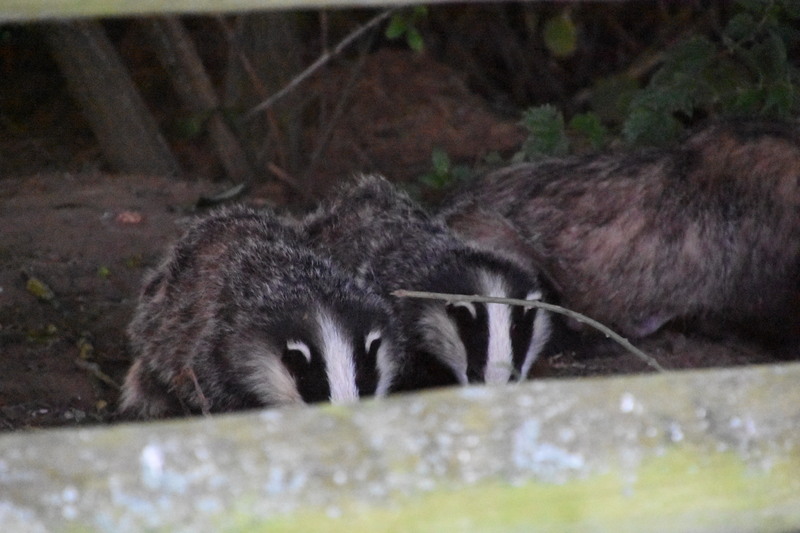 June 21st 2018, the longest day, I went back up to the yard at 9pm and managed to catch these badgers busying in their copse. 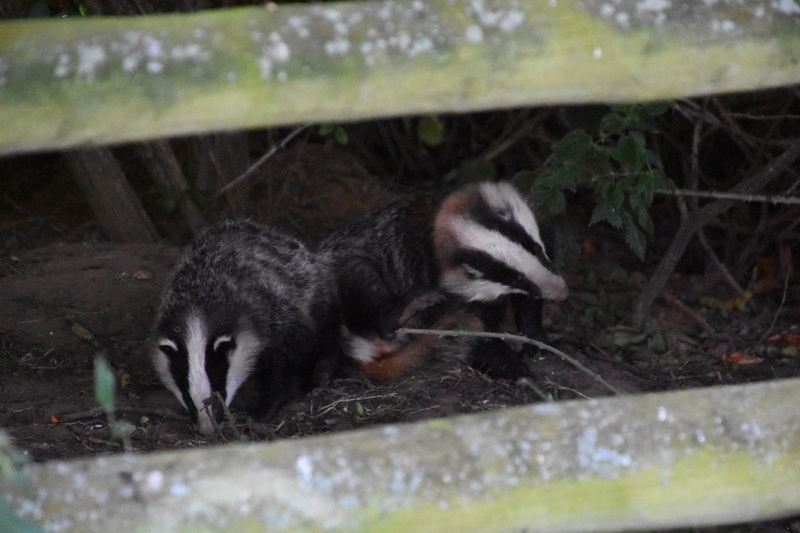 It was fantastic to see them, so special! 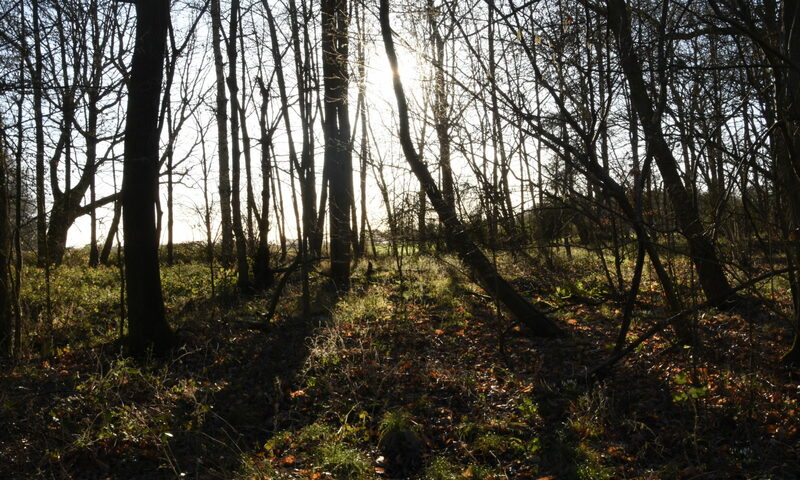 I’m amazed at the quality of the photos considering the lateness and shadow under the copse of trees. 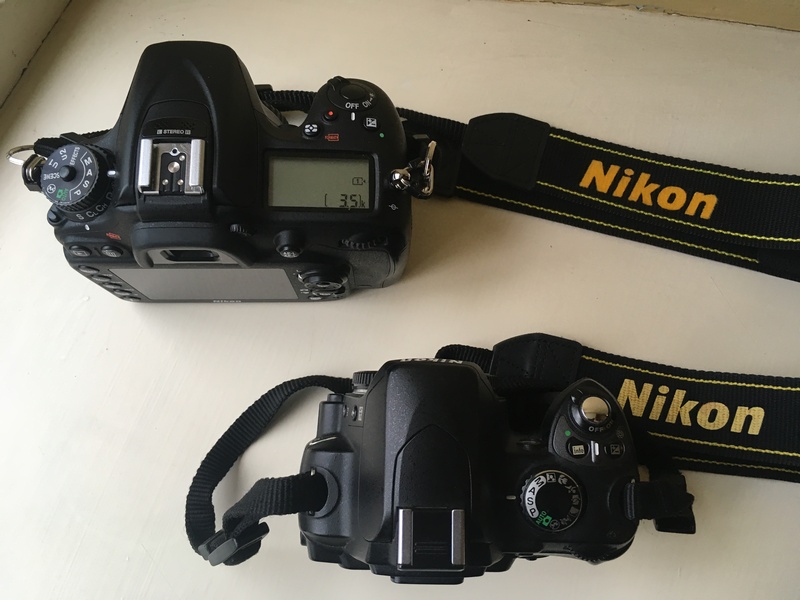 Both of my cameras are Nikon DSLRs with an APS-C sensor. This means they both have crop sized sensors as opposed to a Full Frame size sensor. The great thing about crop sensor cameras is that lenses designed specifically for them are cheaper. Of course, you then have to work out 1.5 of the length of the lens because the sensor is about 1.5 times smaller than a full frame 35mm sensor. So, a 35mm lens on a crop sensor camera, produces a field of view similar to that of a 50mm lens. This means the lens shows you a closer (cropped) view of your subject. I have my 18-55mm Kit lens that came with my D40 camera. And my first new lens was the Nikkor 35mm F1.8 prime lens. I love it. It’s great for portraits and as my house has deep set windows and tends to be quite dark, having an aperture of F1.8 is great for shooting when F3.5 just wouldn’t be wide enough to pick up the available light. My newest lens I was also given for my birthday (a very special surprise) a Tamron 16-300mm F3.5-6.3. 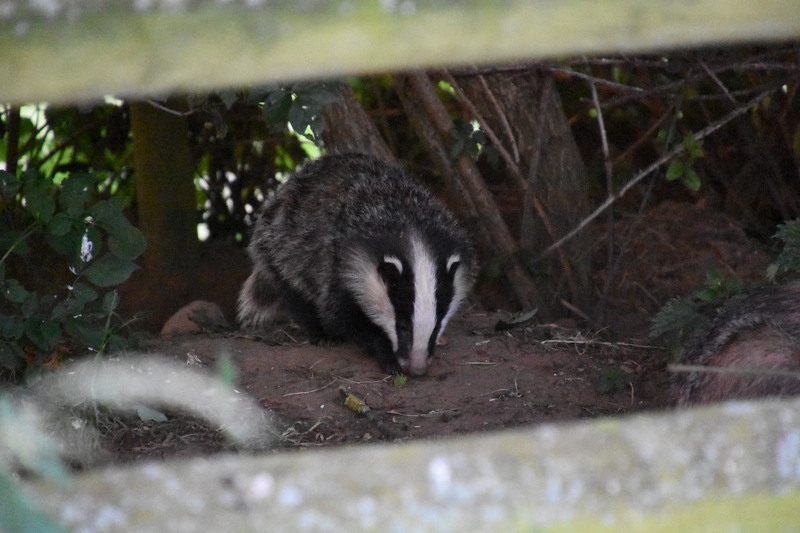 This is what I used for taking the photos of the badgers above. 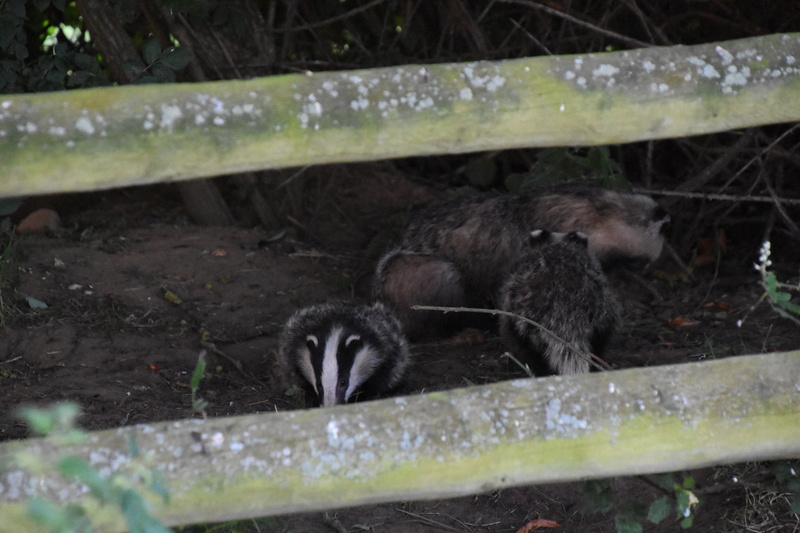 It’s brilliant for zooming in to view animals. 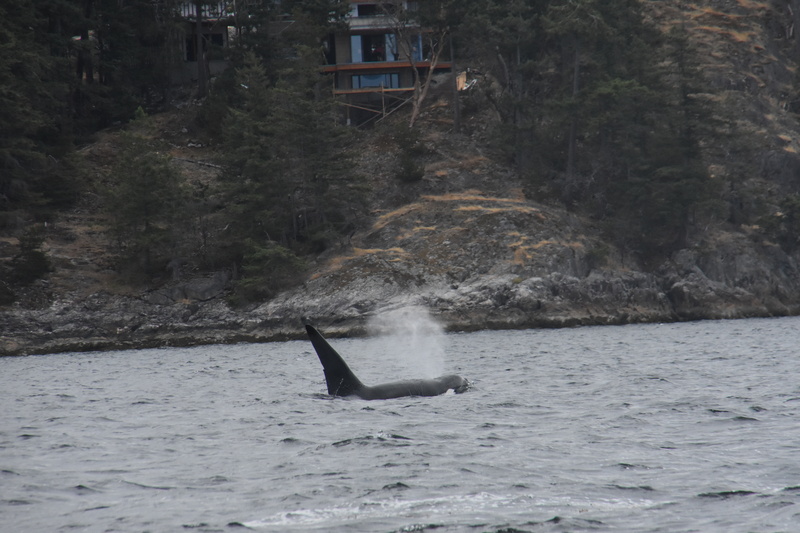 The photos below I took during a holiday in Vancouver Island, Canada, on a whale watching trip. 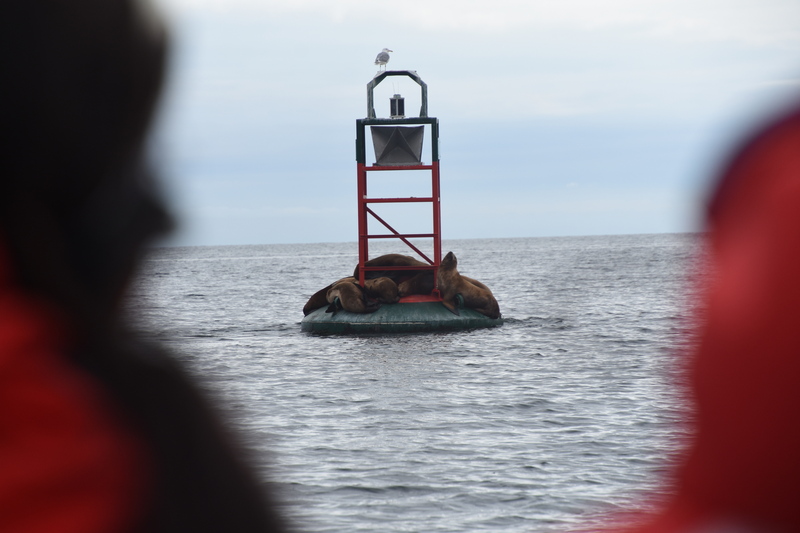 This buoy was a safe resting place for sea-lions away from the pod of fearsome Orca whales. 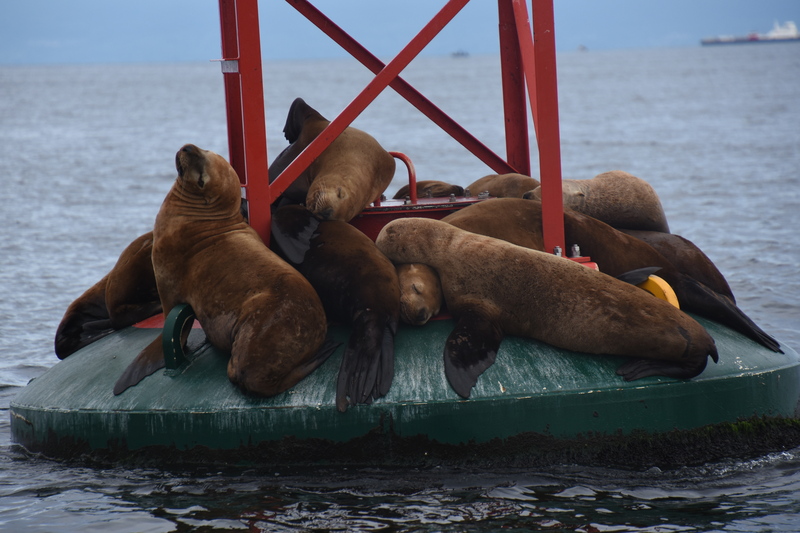 The sea-lions squished up in a pile on the buoy. At the increased focal distance, the image is still great quality. The whale watching boats shouldn’t get closer than 20m to the nearest whale spotted. 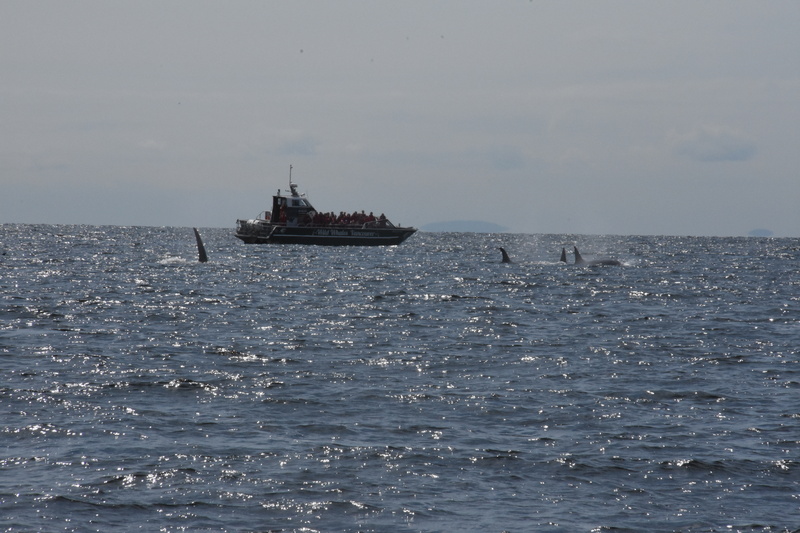 So my Tamron lens was brilliant for capturing the whales from a distance. 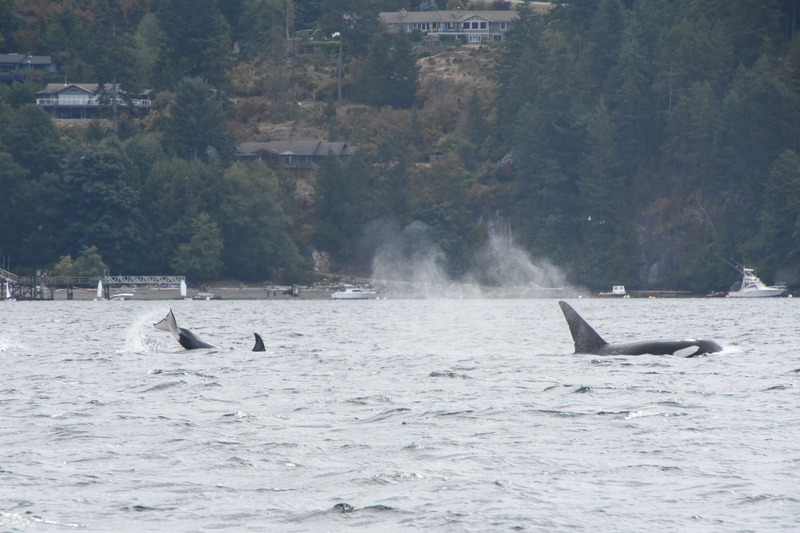 The whale on the left is a young female, they have smaller and more rounded dorsal fins than the males. The other whale is a well known male called Jack. His dorsal fin is huge. Each whale’s dorsal fin is different making it the easiest way to identify the individuals. The male dorsal fin can grow up to 6ft tall! 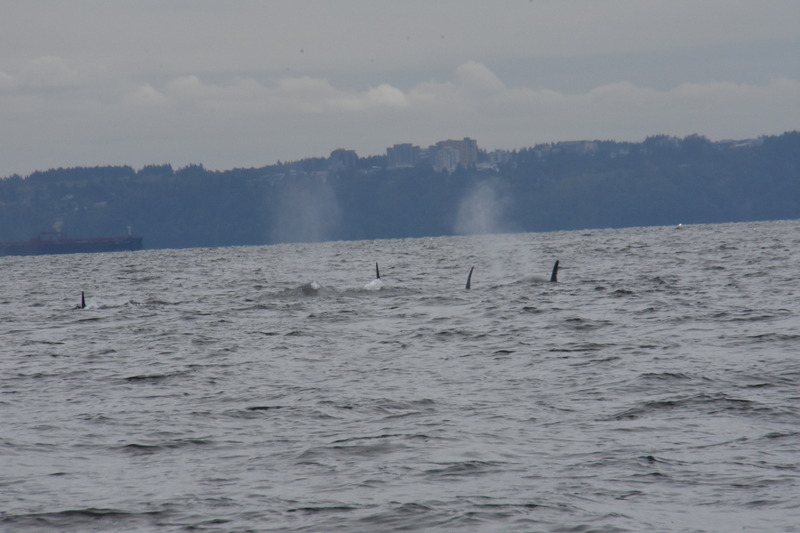 They came up to breach and blow through their blow holes before sliding back into the water again. I was lucky to catch one shot of a fluke (tail fin) above the water. This was my favourite day of our holiday, I’ve always wanted to go whale watching. One thing I’ve found to be really useful with the D7200 is an extended ISO range. I think this is where you can see the sensor improvement compared to the older D40 model. The D40 ISO range was between 200-1600 with a high value of 3200. I tended to stick to about 800 because any higher and the grain became very evident in photos. The D7200 ISO range is 100-25,600 and I haven’t even tried the extended values in black and white mode. My D40 camera has 3 autofocus points and with my new camera I have up to 51 autofocus points to play with. I’m still getting used to having such a choice. The shutter speed/exposure is also different; the D40 having 1/4000th of a second to 30s long shutter, the D7200 has 1/8000th of a second to 30s shutter speed. I love using this extreme range for capturing moving animals and water in motion. This is one of my favourite photos. 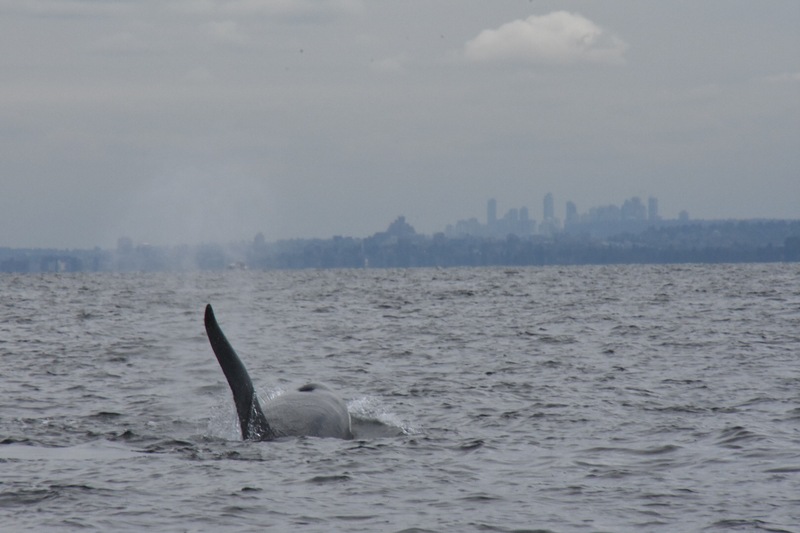 Jack the bull orca with a view of Vancouver bay in the background.